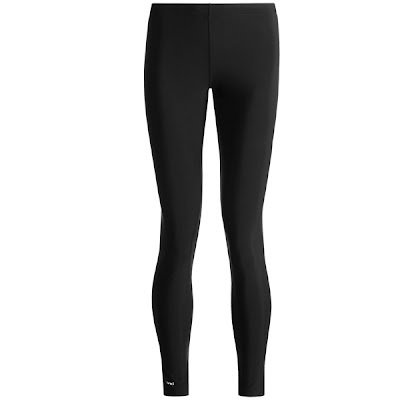 Last week, I blogged about my running must-haves. 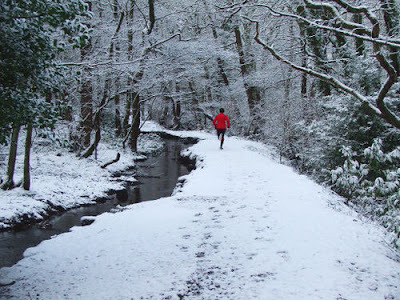 Up today, because it is Winter, are my Winter running tips. 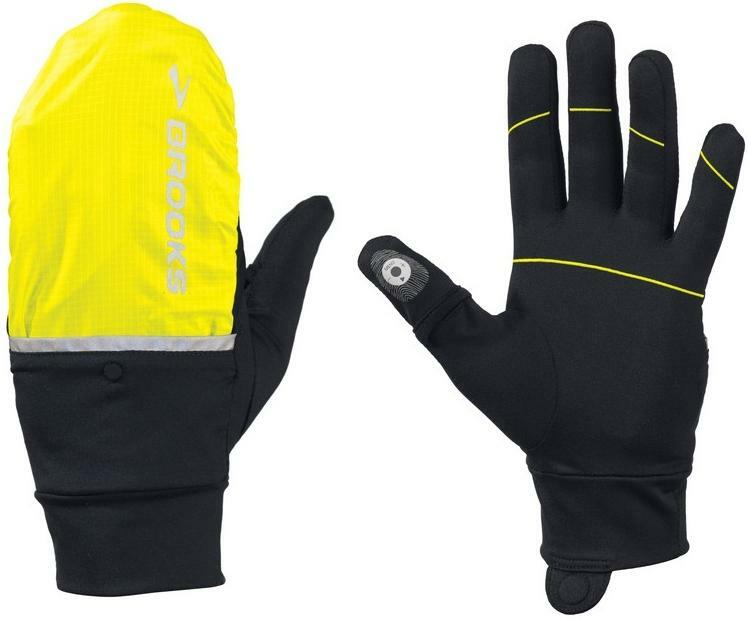 The Brooks Adapt Glove are, hands down, the best running gloves I have ever used [ha ha ha hands down]. They're a nice thick, but not too bulky or too hot, wicking material and have a light "mitten" layer that pulls out of a hidden pocket on the top of the glove. If you don't want to wear the mitten, that bit folds back and is out of the way. They have little tabs that make pulling them off a breeze. The gloves also have special fingertips for MP3s and the thumb has a little slit so you can expose the thumb entirely. Sounds crazy, but when I start to feel a little too warm, I just take my thumbs out of the gloves and that helps a bunch! These are great gloves. I've seen them at Running Stores and outdoor stores like REI and EMS. They retail for about $30. 2. 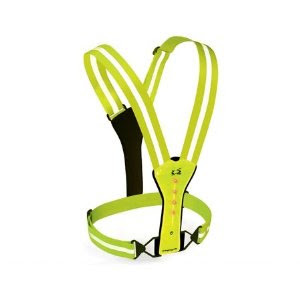 Amphipod Running Xinglet Vest. I prefer to run in the morning, and with the sun rising long after 6 am, this means I'm running in the dark. I run on very well lit and safe streets with a wide shoulder and/or around a park track that is populated even in the morning and that cars do not travel on. Still ... I want to be seen and I want to be seen well. A friend of mine gave me this Amphipod Running Xinglet Vest for Christmas and it is wonderful. Super bright with blinking LED lights on the front and the back. Cars cannot miss me. And the vest is adjustable and does not get in the way. Sweet. This was a gift, but I think it was around $25. To make doubly sure cars cannot miss me, I wear a Black Diamond Sprinter headlamp, too. I rest it on my visor. The front is a solid white light and the back has a blinking red light. 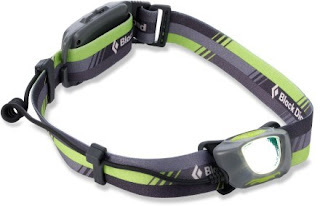 The headlamp also helps light my way in darker patches. It does not bother me in the least, and it's great to have for camping or if you do the crazy fun 200 mile Ragnar Relay races ... like I did last Fall and will do again in a heartbeat. These go for about $70 at places like REI or EMS. 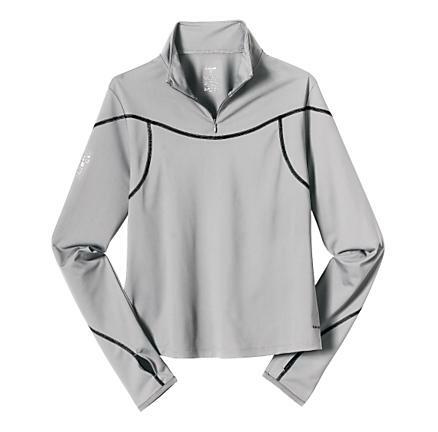 I have had my beloved Hind Half-Zip for over 10 years now and it is still going strong. It is the top layer that I wear and super warm and yet nice and fitted. Depending on the temperature, I wear it with just a long tank bra or layer it with a long or short sleeved running shirt underneath. This half-zip keeps me nice and toasty but not too hot, and when I start to get warmer, I just unzip. 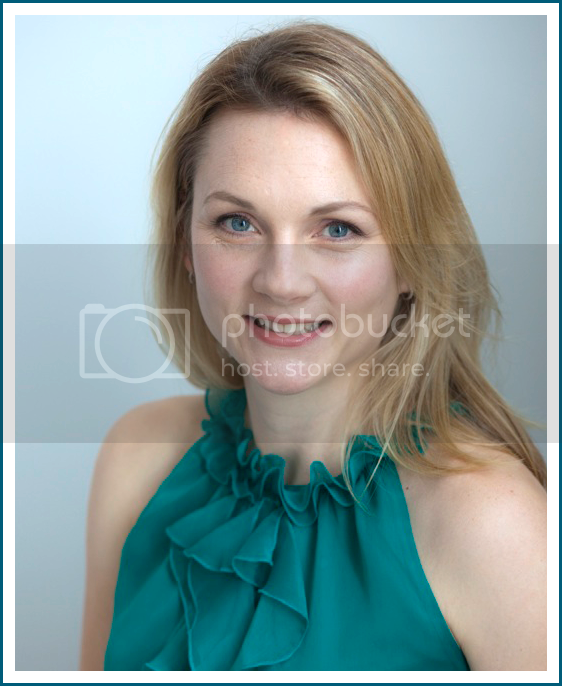 I also like the length - it's not too long or too short and hits right where I need it. I cannot find the exact one I have online, but it has been awhile since I purchased mine. I bought mine at a running store, but I have seen them online. 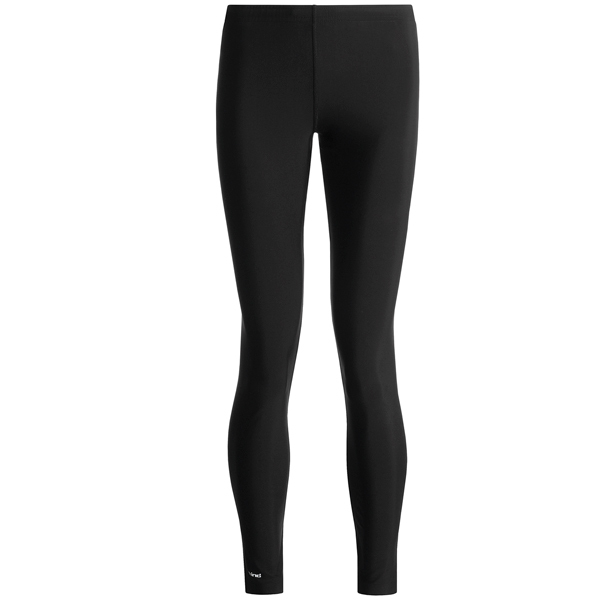 Tights are the way to go in Winter. They keep me nice and warm and feel great! I have several kinds, but I love my Hind brand the best. They're thicker than some, but not too thick. I just love the way they fit and the way running feels in them. Mine have reflective patches on the legs too, for added visibility. I usually go for whisper thin running socks, but in the Winter, my feet get c-o-l-d, so I need something a little thicker. I also like a sock that goes a little higher on the leg, so the area of leg between my tights and ankle is protected from the elements. My favorite brand of sock, Balega, has a terrific sock for this purpose. I think they're called the Endura, but here is a picture. I am truly in love with Balega socks. 7. Target C9 Hat with Ponytail Hole. 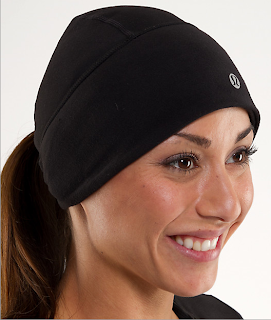 Last, but not least, I love my C9 brand running hat from Target. The best feature is the little hole in the back for my ponytail. Yes, ok, yes, I love the ponytail hole partly for vanity's sake, but it's also very functional. It just feels more comfortable. This was a steal at Target - maybe $10, but probably less. It sits perfectly over my ears and is thin enough that I can wear a visor and headlamp on top of it when necessary. This is a similar one, but it does not look to be Target brand. There you have it! A handy dandy round-up of some Winter running essentials. Anyone game to get out there with me on a brisk (ok ok freezing) morning? It’s impressive how you keep up with your routine even in the winter months Shanna! You’re right, winter running requires a bit of preparation and more "gear" to keep you warm and safe. I also suggest that you must go for the right footwear to avoid foot pain, injuries, and even plantar fasciitis, which are common for athletes. You might also think of doubling your socks to protect you from blisters as well as keep you warm.